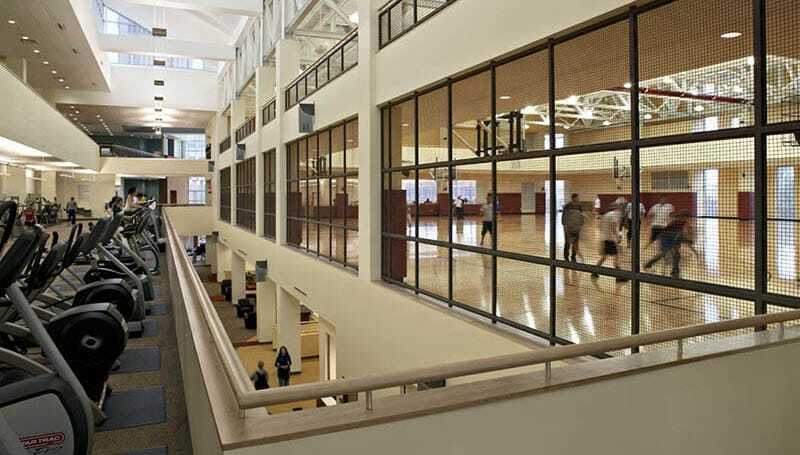 Gilbane managed the construction of Cleveland State University’s new LEED Silver Recreation Center on a tight, urban site in downtown Cleveland. 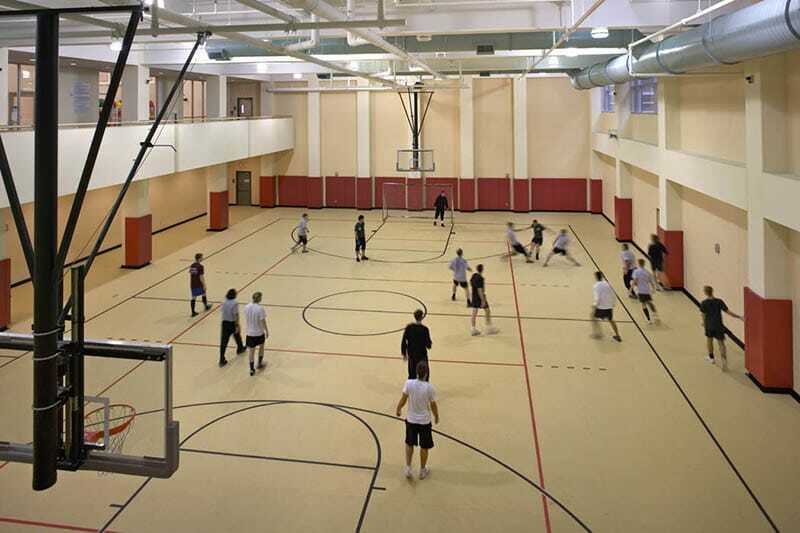 Located in downtown Cleveland, the new facility includes fitness and weight room areas, three basketball courts, racquetball courts, a 1/10-mile track, juice bar, administrative areas, and an underground parking garage. In addition, provisions were made for a pedestrian bridge which connects the facility to a 400-car parking garage. Constructed on a tight, urban site while sharing a wall with the adjacent operational natatorium, the project team was challenged with minimal laydown areas and vibration control. Due to this, site organization and communication with the University was critical to accommodate contractor trailers and equipment while preventing disruption to nearby academic and residential buildings. 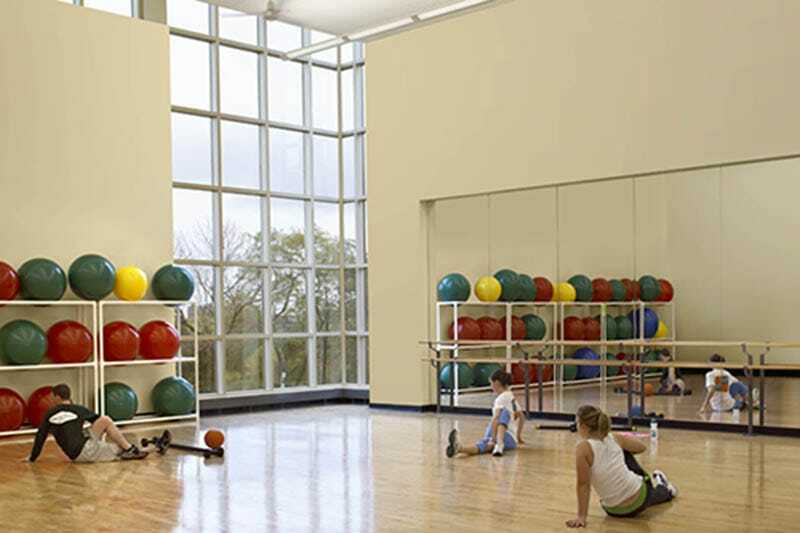 Student, faculty, visitor, and trade contractor safety was a key component to the success of the new recreation center. 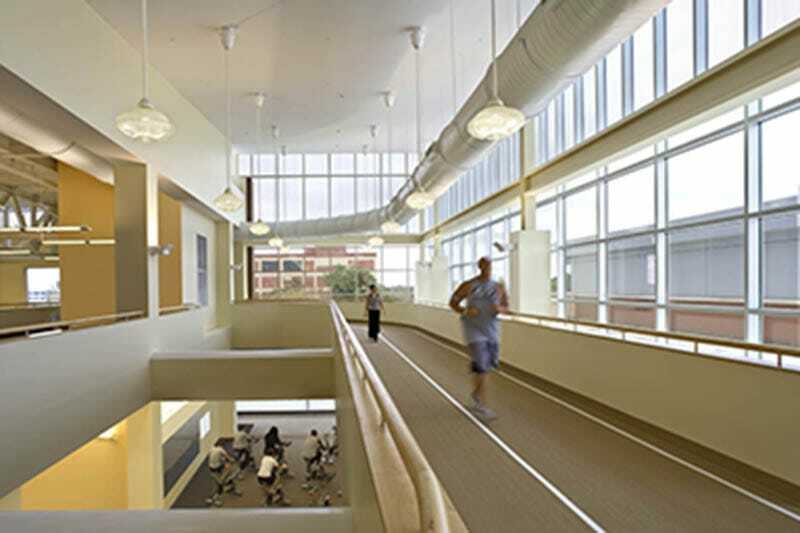 As Cleveland State’s first LEED building, the project achieved LEED-NC Silver Certification. Features contributing to this award include a rainwater harvesting system, low-water consumption plumbing fixtures, high recycled content building materials, recycled materials from the demolition of the geodesic dome building that previously occupied the site, and 30% energy savings. Architects on the project included Sasaki Associates and Weber Murphy Fox.